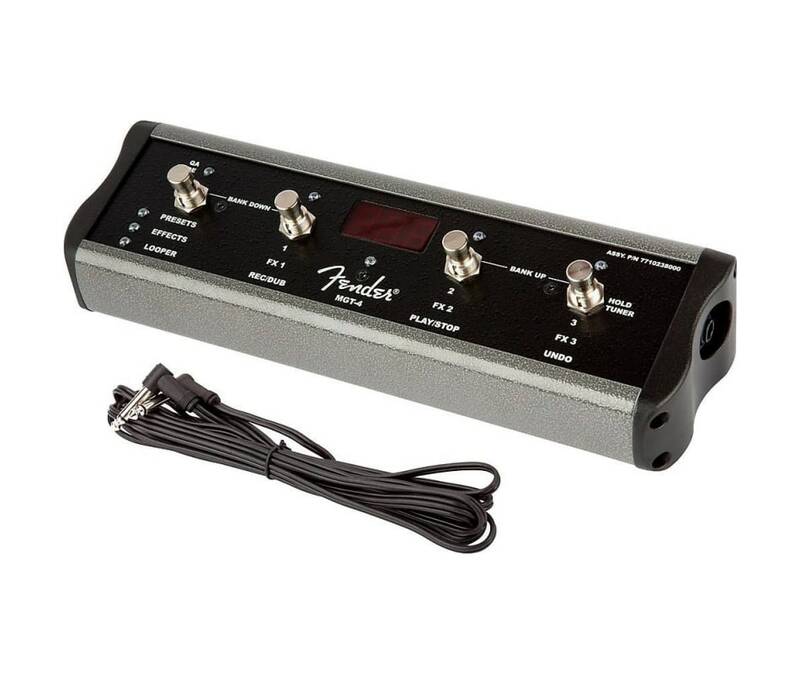 The MGT-4 Footswitch (included with Mustang GT200) is a great optional accessory item for Mustang GT100 and GT40. It's a four-button, pedalboard-friendly unit that lets users select various presets and effects from the floor. It also enables hands-free access to the chromatic tuner, with colored LEDs for visual feedback. Perhaps most importantly, the MGT-4 footswitch unlocks Mustang GT's 60-second looper functionality, with buttons to activate "Record," "Play," "Overdub" and "Stop" functions. The Acoustic 100 and 200 amps ship with a magnetic overlay that updates the switch labels to the correct functions. Removable 12 cable with 1/4" plugs included.